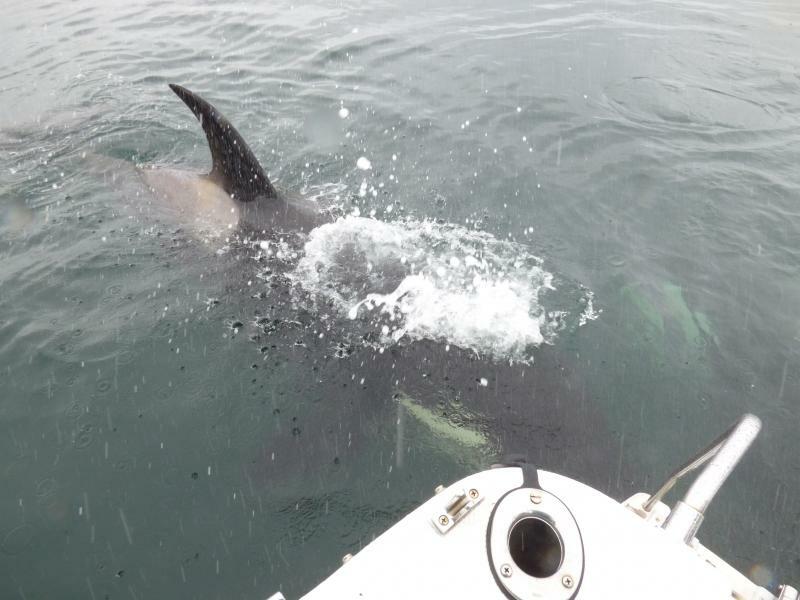 ﻿Seaman's Ecotour Adventures, in business since 2005, strives to provide guests with a diverse experience in Kachemak Bay. Our small, family-oriented business is owned by Glenn and Bette Seaman, 44-year residents of Alaska. We lived in Fairbanks, Anchorage, and since 1999 in Homer. ﻿They moved to Homer to live in small coastal town with a strong connection to their place. Glenn's permanent connection to Kachemak Bay started in 1996 with the effort to designate National Esturarine Research Reserve in Kachemak Bay. Glenn cooking lunch in Port Chatham on tour to outer coast. 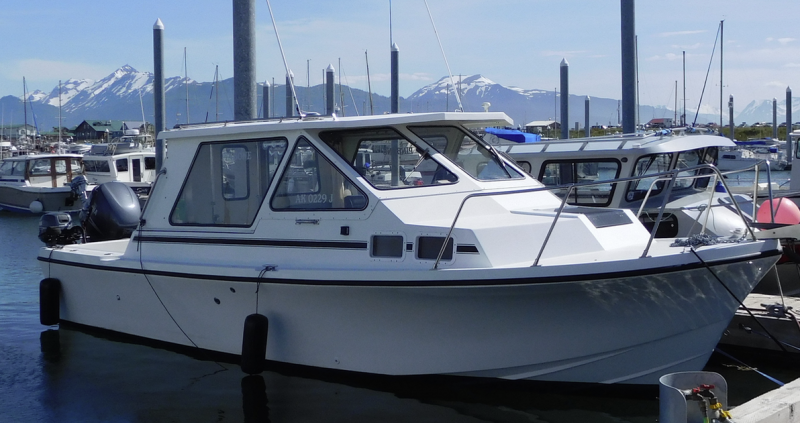 ﻿﻿ The vessel Pinbone has is 26 foot long/10-foot beam boat, surround windows and spacious heated cabin, . 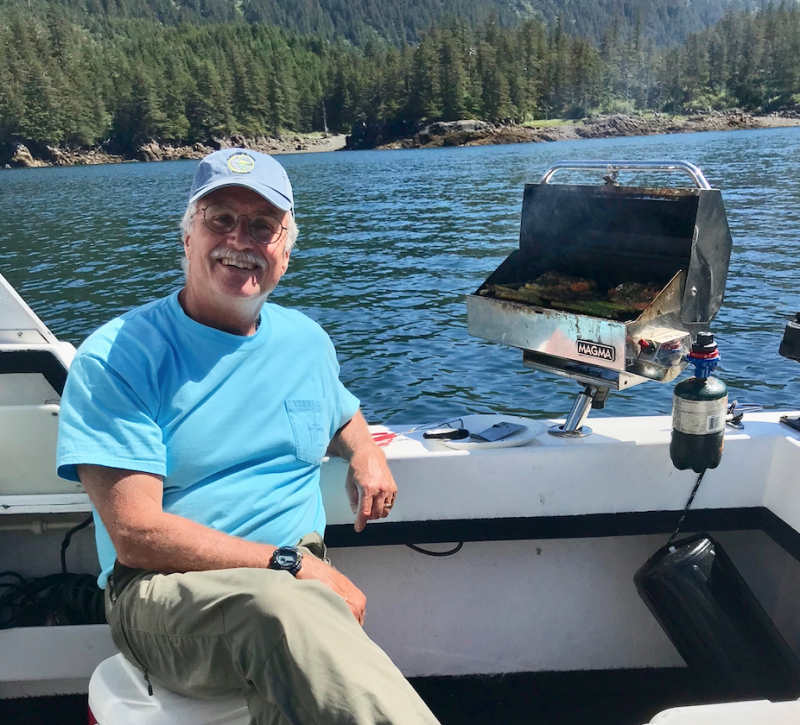 Glenn Seaman, the principal guide/naturalist, has more than 40 years of professional experience in management, research, and conservation of marine and coastal areas in Alaska, including more than 20 years in Kachemak Bay and Homer. He has worked 27 years for Alaska Department of Fish and Game in marine mammal research and habitat management, and and 6 years for the National Oceanic and Atmospheric Administration as Alaska Native Liasion. He has BS in Biology (Marine Science Emphasis) and MA in Cross-Cultural Studies (Indigenous Cultures and Knowledge Systems). He is an active fisherman, birder, and naturalist, with a keen interest in Alaska history and Indigenous cultures. His passion is to learn more about Kachemak Bay/Lower Cook Inlet Ecosystem, it's people and natural resources, and to share it with others. He is proponent of life-long learning, and relishes the opportunity to learn meet and learn from people for all over the world and different cultures. He strives to keep current on on latest science, so he can share best and most up-to-date information with guests. 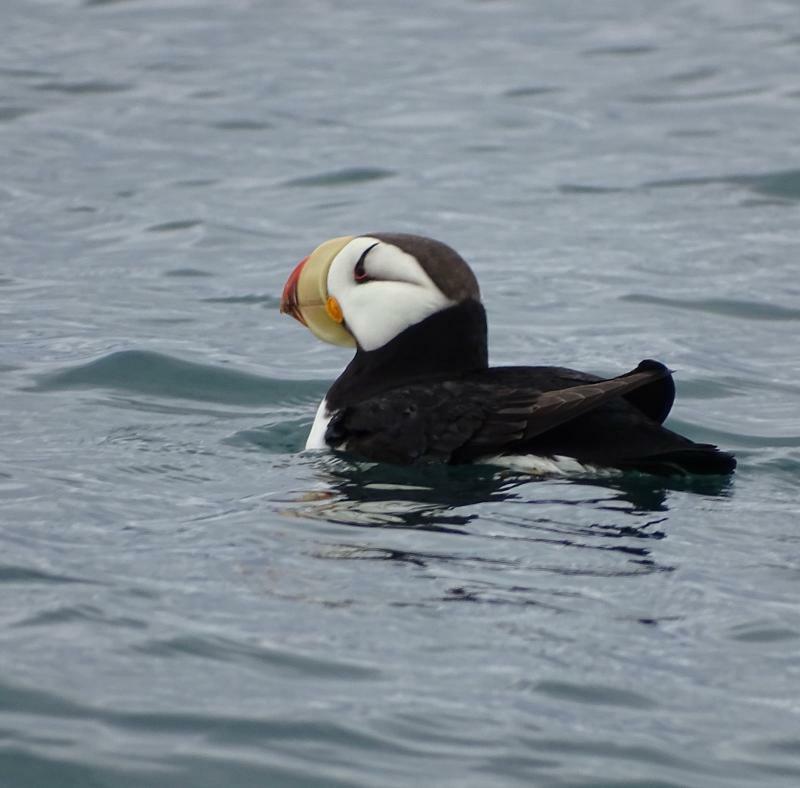 ﻿ We strive to provide the best experiences for our guests, whether it be close up a horned puffin or the illusive Orca whales. Glenn grew up with boats. He has a 50-ton Masters License from the U.S. Coast Guard and captains as stable 26-foot/10-foot beam Glasply boat, the Pinbone. The Pinbone has roomy back deck and spacious, fully-enclosed/heated cabin. The cabin has a head (toilet), fresh water and sink, and a table and seat that comfortably seats five adults. A 5-passenger Zodiak boat with a hard fiberglass bottom is available for jaunts to shore.